With more than 80 educational sessions and nearly 17,000 industry professionals, PRINT 18 continued with its promise to grow business. In its 50th year, and with a new laser focus on making the event transformational instead of the typical transactional trade show, the event realized an increase by 38% of unique visitors per day. 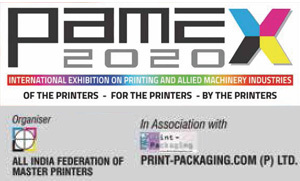 PRINT 18 was successfully held from September 30 – October 02, 2018, McCormick Place South Chicago, IL. PRINT 18 exhibitors confirmed they will return to Chicago for PRINT 19 because it is the event in the city buyers are sure to come to. In support of this, APTech announced that effective September 30, 2018, print service providers could now become active and engaged members of the association. Seth Godin, noted author and marketing visionary, presented PRINT’s opening keynote – sponsored by Xerox – offering nugget after nugget of marketing and print-related insights that both challenged and entertained the audience, resulting in rave reviews from many. Industry experts gave educational sessions on industry-specific topics, followed by exhibit hall tours of relevant booths, adding dimension to the Learning Experience beyond the classroom format. First-time exhibits focusing on emerging technologies included a new RED HOT Opportunities booth featuring select vendors with game-changing technologies. With the new Virtual Reality area, visitors enjoyed a fully immersive experience interacting with presses in ways they never could in the real world. The first-ever Brand Inspiration Forum at PRINT, organized in partnership with the Chief Marketing Officer (CMO) Council brought together marketers, creatives, engagement experts and print providers to spark insights to make customer engagement channels more effective, efficient and engaging. 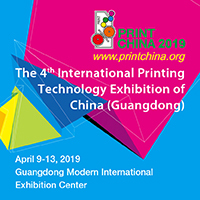 The new RED HOT Technology Recognition Program helped visitors easily navigate the exhibit hall and find the newest technologies on display by PRINT 18 exhibitors. A total of 76 products and solutions from 45 exhibitors in 11 product categories were recognized. Nine of those products were further honored with RED HOT Technology Vanguard Awards, for game-changing solutions that are expected to have significant impact in the industry. Greater awareness of the need to do business across borders was evident at the packed-to-capacity International Reception. CONLATINGRAF is now partnering with APTech to bring South and Latin American attendees from 60,000 print shops in 14 countries to PRINT. 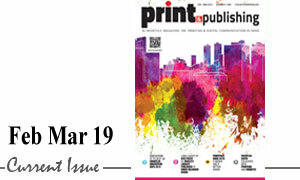 LeadingPRINT debuted as the new flagship publication for print service provider members of APTech. The articles in the magazine provide a unique perspective from the view of the print service provider on how they have faced and overcome challenges within their businesses. APTech also debuted the new comprehensive onsite Official Event Guide.